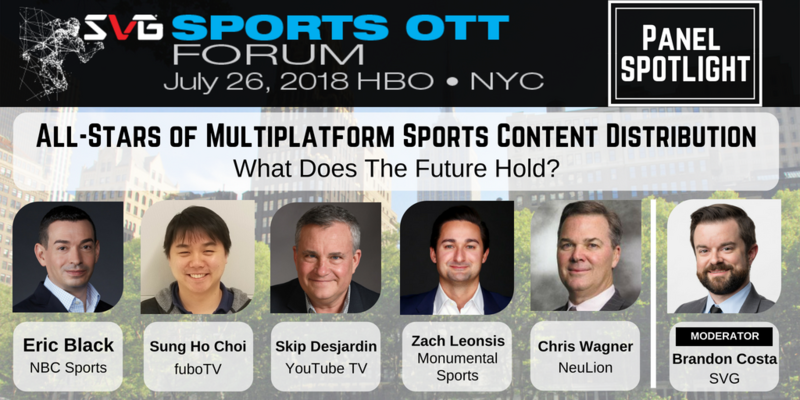 The first SVG Sports OTT Forum is just days away! This exclusive event is set to bring together many of the sharpest minds and biggest players in the sports-streaming space, and you won’t want to miss your opportunity to be a part of the conversation. The session will be moderated by SVG Director of Digital Brandon Costa. To learn more about the SVG Sports OTT Forum and how to attend, contact Costa at [email protected].